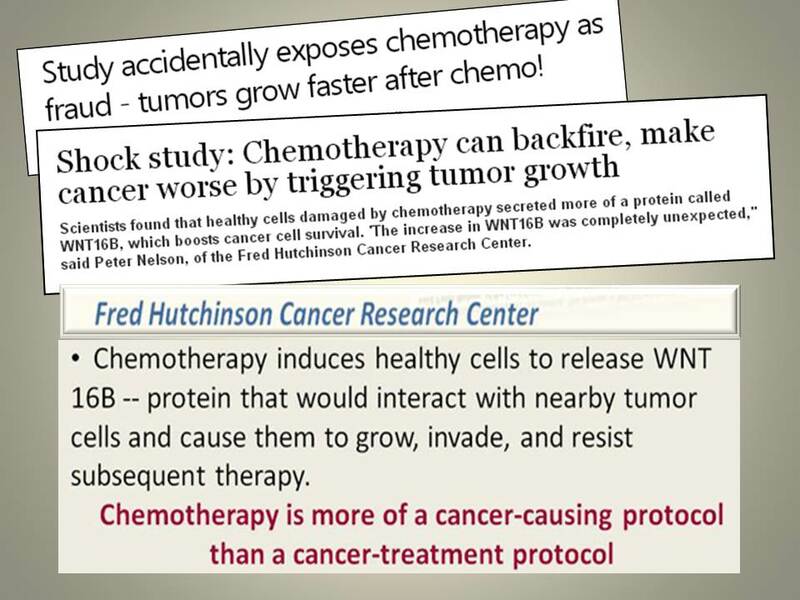 HomeInformasi yang harus Anda ketahuiDoes chemotherapy and radiotherapy make sense? A mammogram was done – there was nothing. 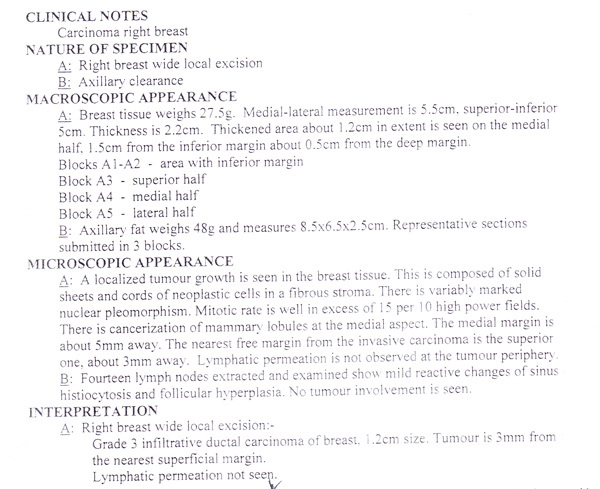 But USG showed a 1.2 cm lump. A biopsy was performed confirming that it was malignant. On 21 December 2009, Jane underwent a lumpectomy in addition to removing 14 of her lymph nodes. No cancer was found in the nodes. It was a Stage 1 cancer. Immunochemistry indicated that the tumour was negative for ER, PR but strongly positive for c-erbB-2. P53 was strongly over-expressed. Jane was told that the benefit of chemotherapy and radiotherapy would be 16 percent – i.e. 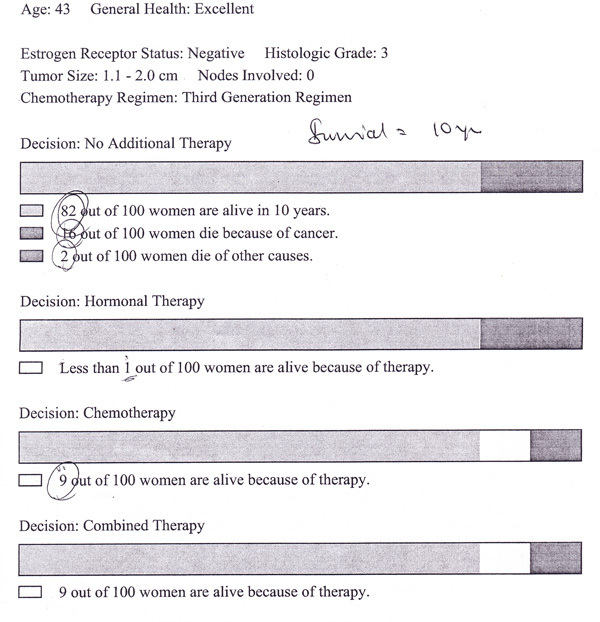 16 out of 100 women are alive and without cancer because of the combined therapy. Jane was told that the package of chemotherapy + Herceptin would cost RM 120,000 while radiotherapy cost an additional RM 35,000. Jane promptly refused further medical treatments and came to seek our help on 10 January 2010. Jane told us that she refused chemotherapy because she did not want to lose her hair. In addition, her mother-in-law had lymphoma and died after two cycles of chemotherapy. Jane was prescribed Capsule A, C-tea, Breast M and Breast L tea. Jane continued to take the herbs and in May 2013, I got to see Jane again and reviewed her case. She was doing well and happy. Below is our conversation that day. 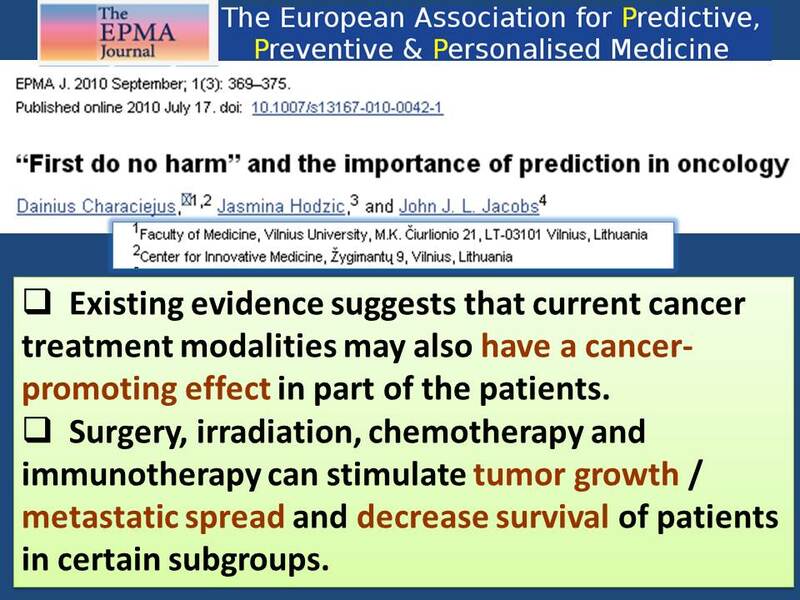 Japanese researchers wrote this: A high rate of brain metastases has been reported among patients with human epidermal growth factor receptor (HER2)-over-expressing metastatic breast cancer who were treated with trastuzumab (Herceptin). Breast Cancer: Herceptin and Brain Metastasis. She might have won many battles but ultimately she lost her war. http://cancercaremalaysia.com/2012/09/20/breast-cancer-herceptin-and-brain-metastasis/. SA was diagnosed with Stage 2 breast cancer in March 2006 and about two years later, it progressed to Stage 4 – with metastases in her lungs and liver. 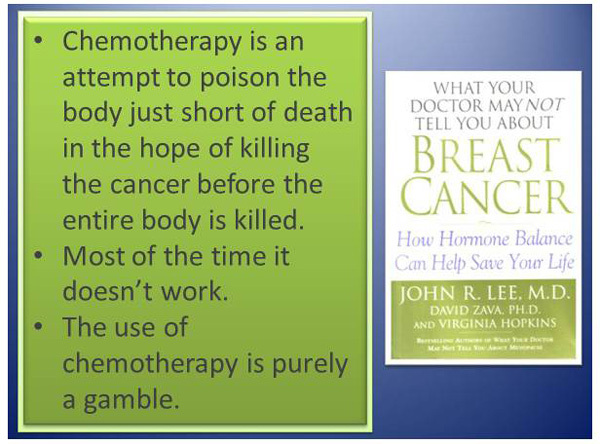 From May to 2008 she received Herceptin. The cancer spread to her brain. In January 2009, SA fainted and was unconscious. She died. Reflect seriously on the tragic cases above. Do you see a common trend? Yes. They had breast cancer and had undergone all the medical treatments recommended by their doctors. And the results? Disaster. All were dead within 3 to 4 years. While they were alive, they spent time in and out of the hospital, moving from one treatment to another with no cure in sight. And it the process endure the suffering and misery of the treatments. All received Herceptin and all ended with brain cancer. Ask this question: Jane had a dangerous type of breast cancer – they call it a triple negative. After surgery she opted for the CA Care Therapy – taking herbs and change of diet. 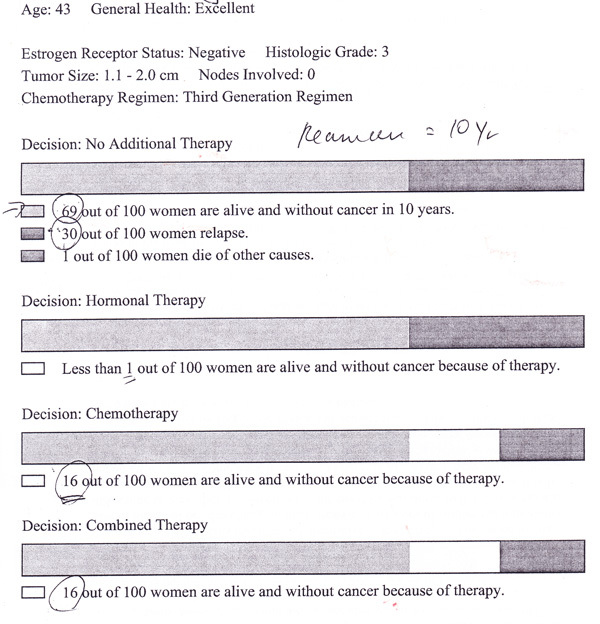 She refused chemotherapy and radiation. What happen to her now? She is doing fine, leading a happy life. The fibroid and ovarian cyst that had recurred after a previous surgery are gone after taking the herbs. The non-cancerous cysts in her breasts have grown smaller. In short, Jane’s health is good and she does not need to endure any suffering along the way. Come December 2013, Jane would have lived 4 years of healthy life. Others who took the medical path were dead by then. Okay, you may want to ask me, if I were to take Jane’s path – would you guarantee me that I would be successful like Jane? Unfortunately no! 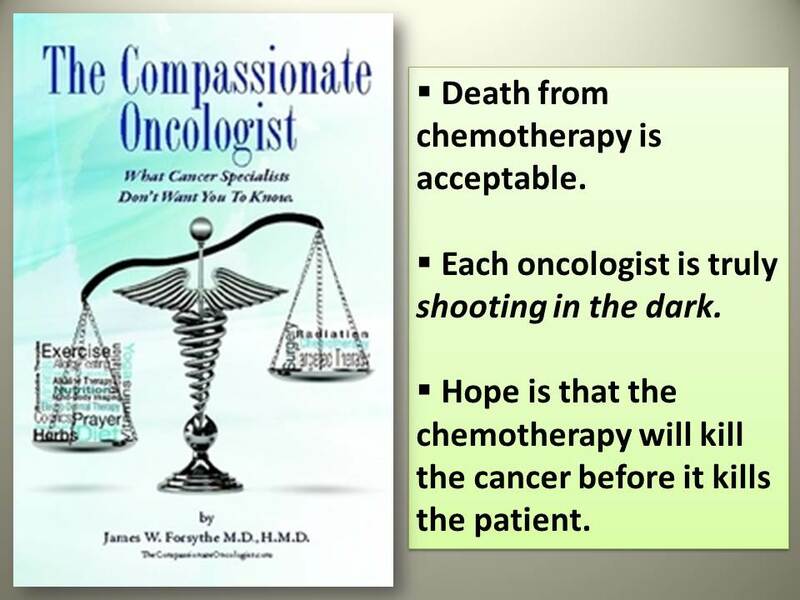 Healing of cancer is about you – the human being. You have to work for your own healing, YOURSELF. Nobody can take on that responsibility. And you must be fully committed to what you are doing. And that does not come easy. It is not available on demand either. No amount of money can buy you healing. Certainly NOT for those who are only seeking for an easy way out, instant cure or a magic bullet. Take heed of the wise words of Dr. Susan Love.